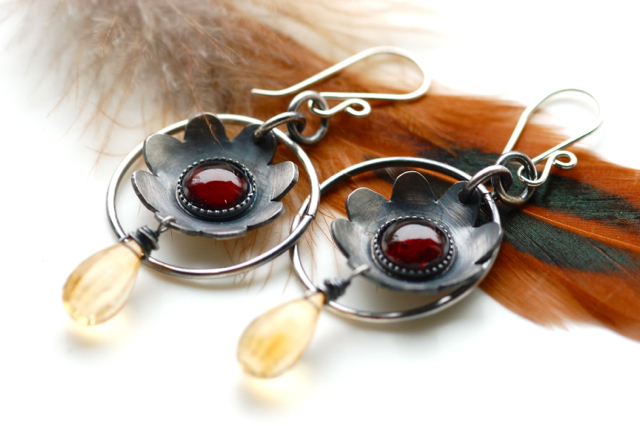 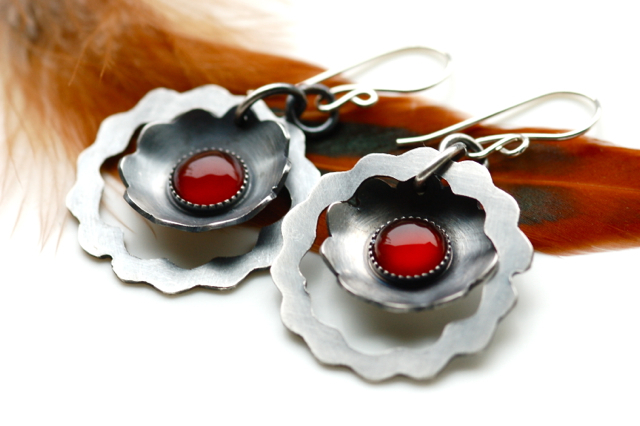 Oxidized sterling silver and carnelian. 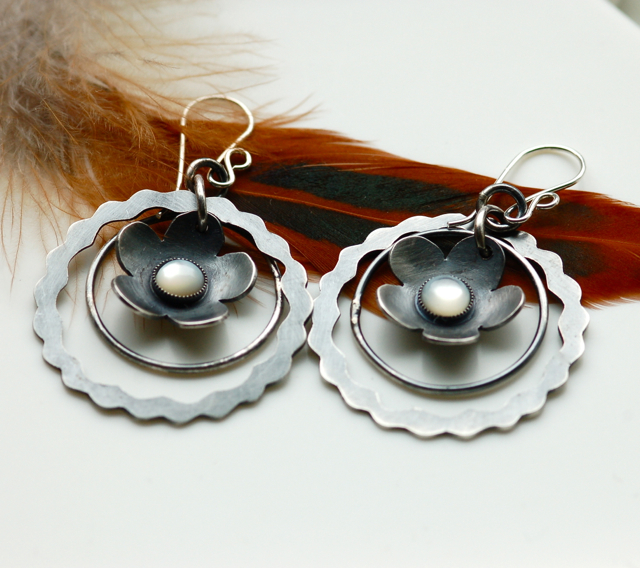 Oxidized sterling silver and mother of pearl. 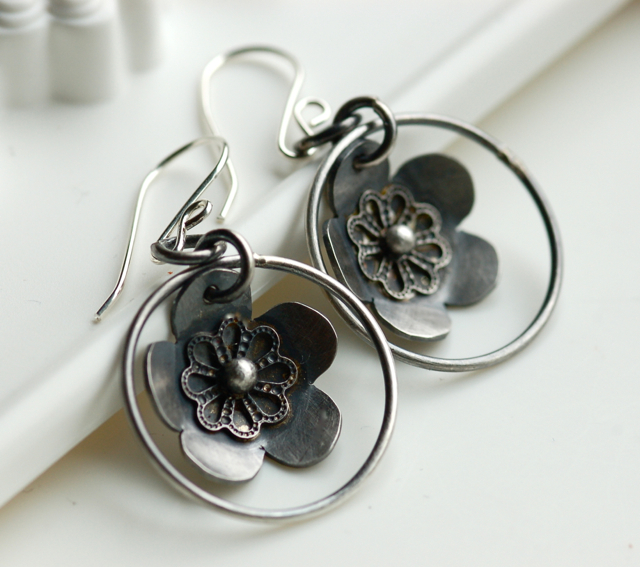 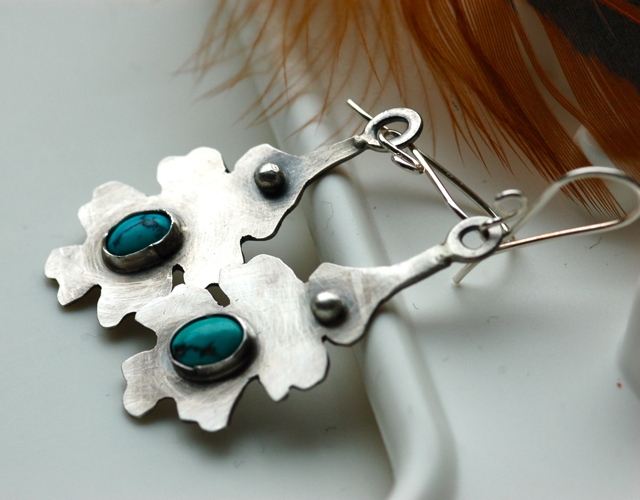 Rustic oak leaf earrings in oxidized sterling silver. 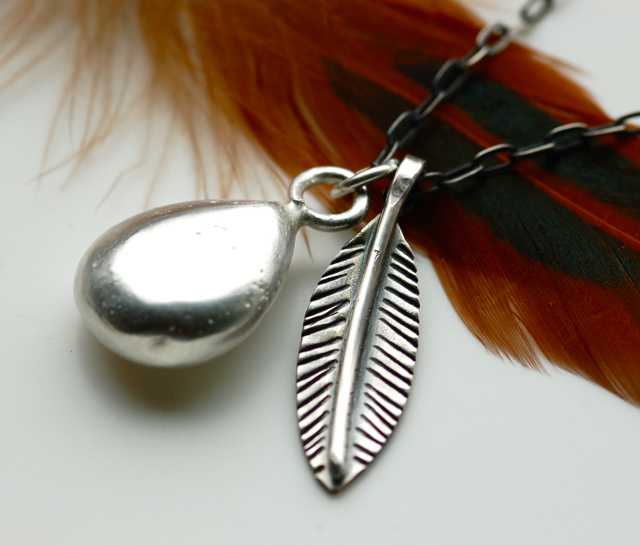 Hand cast sterling silver drop with small feather. 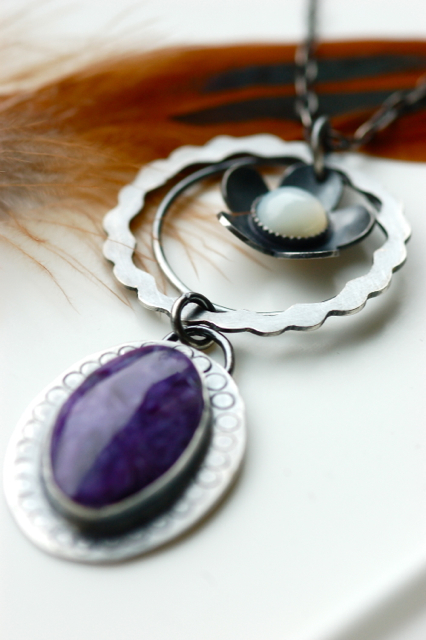 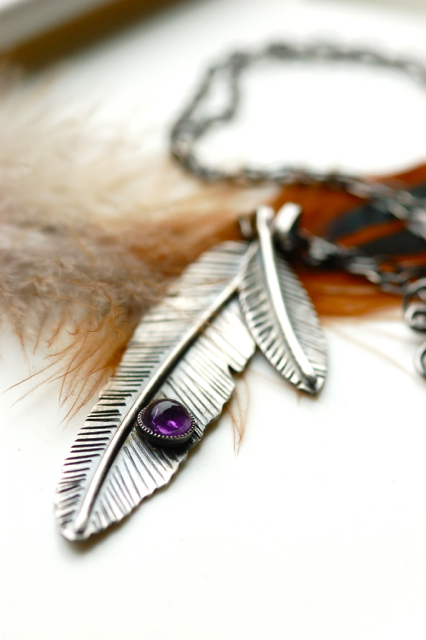 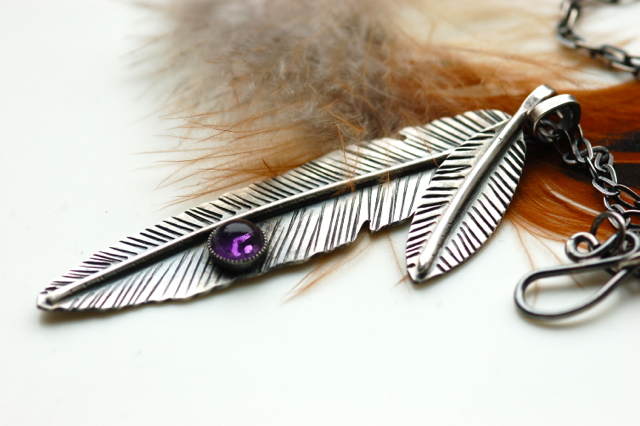 Hand pierced feather pendant necklace in oxidized sterling silver and amethyst. 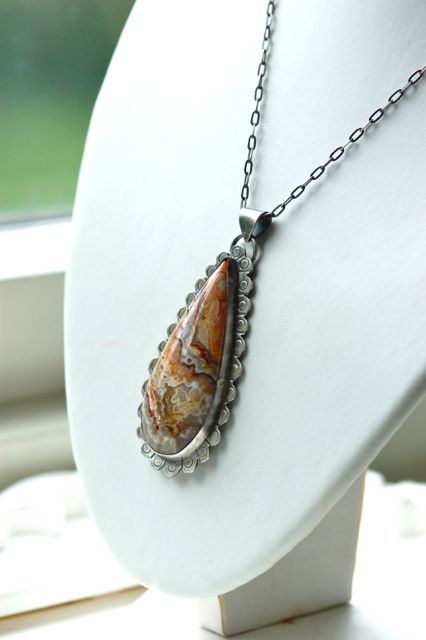 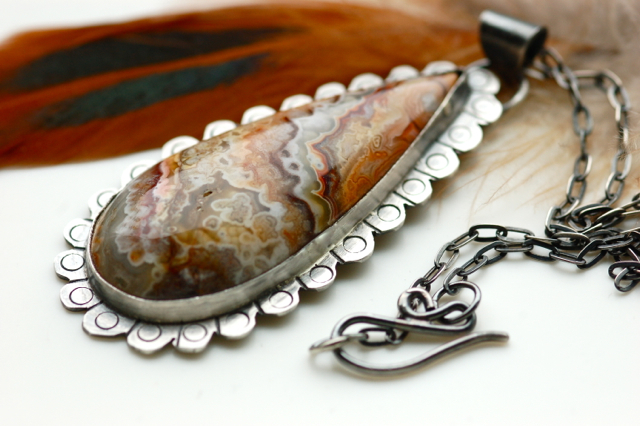 Crazy lace agate in oxidized sterling silver. 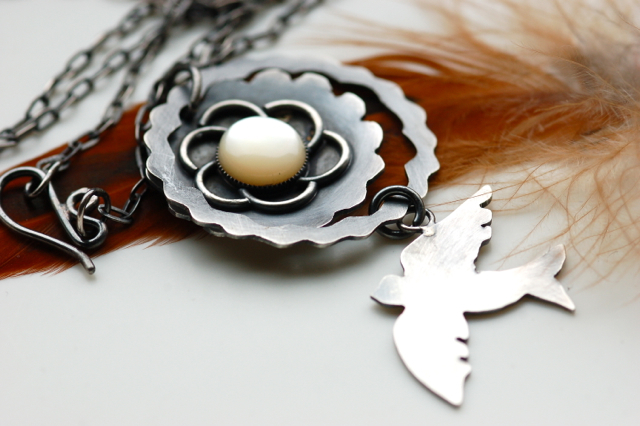 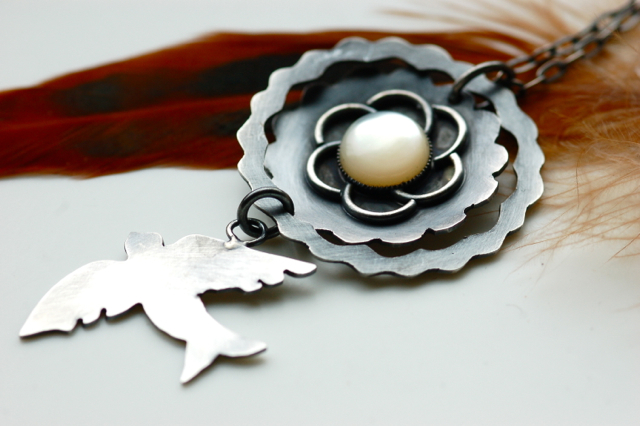 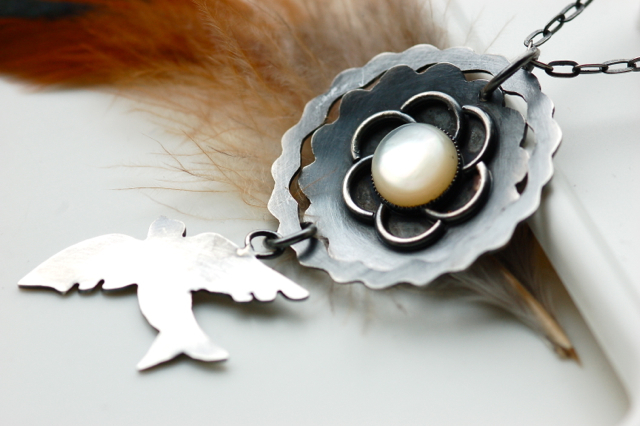 "Soar" necklace in oxidized sterling silver and mother of pearl. 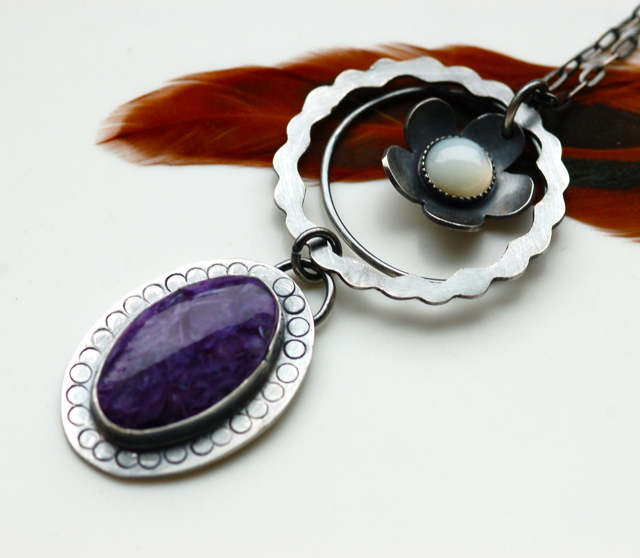 Beautiful purple chariote, sterling silver and mother of pearl.